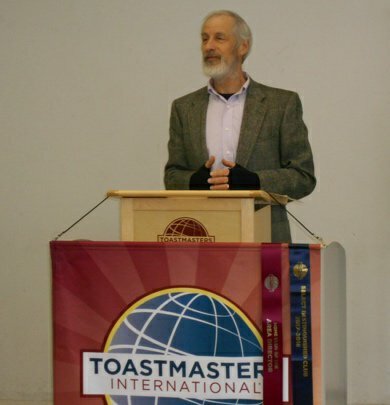 Toastmasters International is a non-profit educational organization that teaches public speaking and leadership skills through a worldwide network of clubs. Founded in 1924 and headquartered in Colorado in the U.S., the organization has more than 357,000 members in more than 16,000 clubs in 143 countries. It has helped people from diverse backgrounds become more confident speakers, communicators, and leaders. Ludlow Gibbons came to Japan from the U.S. in 1992 and has taught English at the elementary, secondary, and tertiary levels. He has been active in educational organizations and served as President of Osaka JALT and as a member of JALT’s Executive Board. He joined the Osaka Toastmasters Club in 1995 and has been actively involved in establishing clubs in Kansai, volunteering as an officer in the Toastmasters International organization, and occasionally participating in speech contests to maintain his public speaking proficiency.